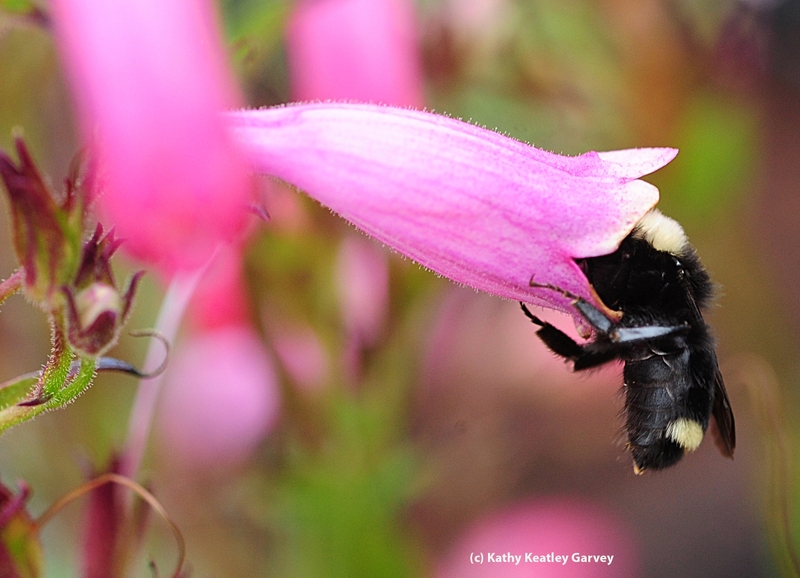 That's when you get when you see a yellow-faced bumble bee (Bombus vosnesenskii) on a penstemon, also known as "beard's tongue." Both the bee and the flower are native to North America. 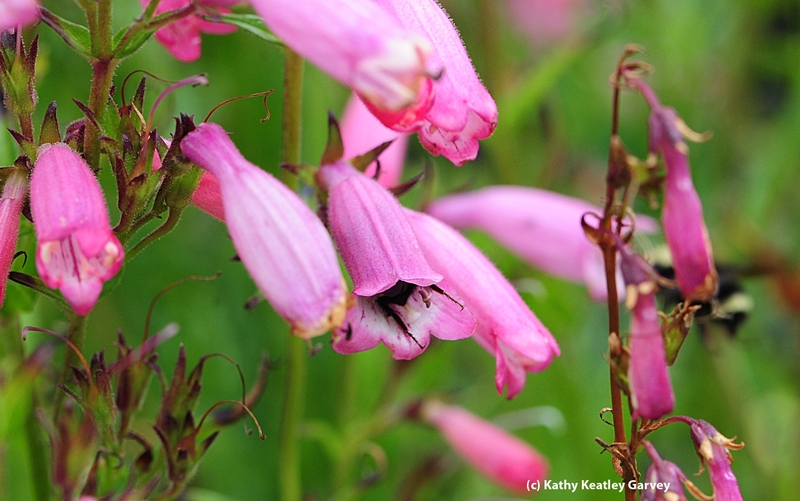 Native Americans reportedly used the penstemon, formerly classified in the Scrophulariaceae family and now considered a member of the Plantaginaceae family, to relieve toothaches. 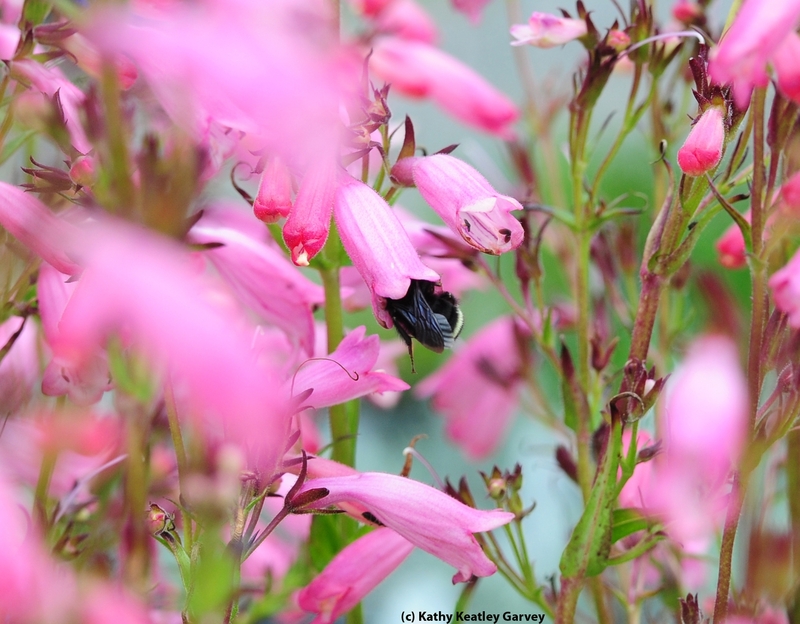 Whether it relieves toothaches or not, the penstemon, with its two-lipped tubular flowers, is quite attractive to bumble bees!